I’m going on a road trip this week, and I can’t tell you how excited I am! I’ll be performing “Views from Grandma’s Porch” with Bare Bait Dance, a fantastic modern dance company right here in Montana. I get to hang out with five of the loveliest ladies you’d ever meet, and dance till I drop. Don’t you dare pinch me if this is a dream! Because our schedule will get a bit hectic here and there, I’m going to be bringing some homemade snacks to get me through our techs and workshops. I was trying to think of what would be easy to make, easy to throw in a dance bag, and not be heavy in my belly. 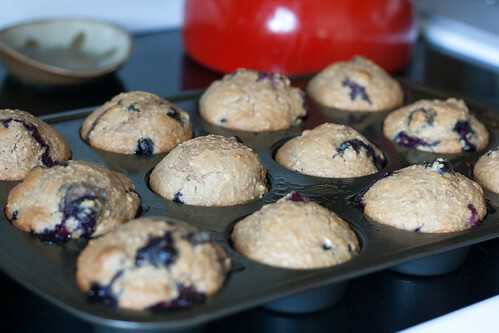 Preheat oven to 400F and prepare a muffin tin with liners or non-stick spray. 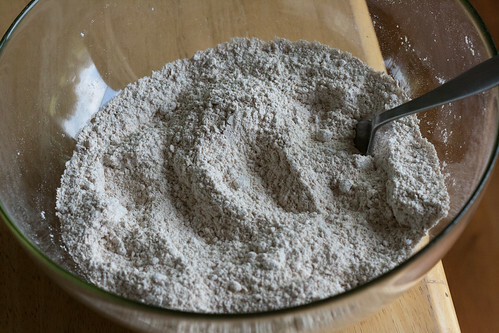 Combine all the dry ingredients in a large bowl until fully mixed. 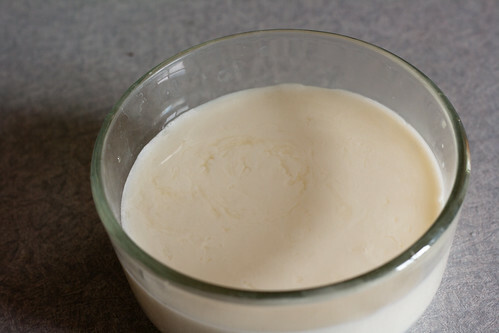 In a smaller bowl, beat the egg with the buttermilk, then add the remaining wet ingredients. 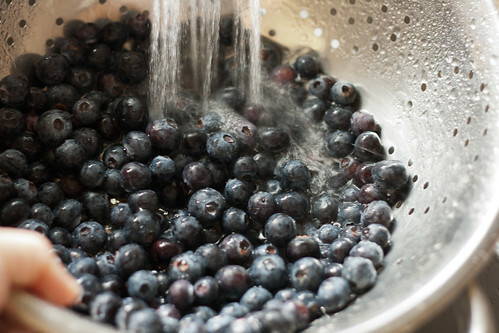 When everything is almost fully incorporated, add the blueberries and fold them into the batter. 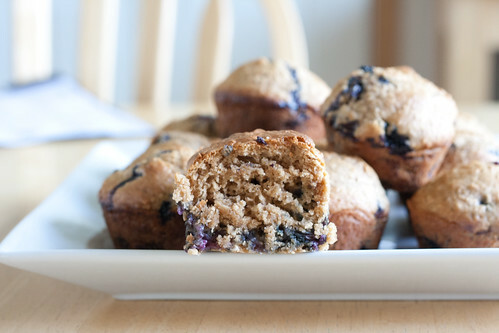 Spoon the batter into the prepared muffin tin and then bake for 25-30 minutes. A toothpick should come out clean when inserted into a muffin’s center, and the tops should be golden brown before you remove them from the oven. 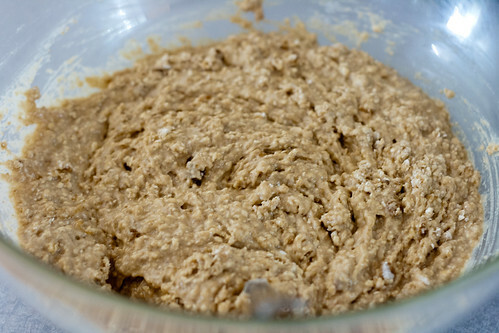 Simply pour 1 cup plus 2 tbsp of milk into a bowl, and then add 1 1/2 tbsp of lemon juice. Let that sit while you prepare your dry ingredients, and you’re good to go! So, what else should I make for my trip? 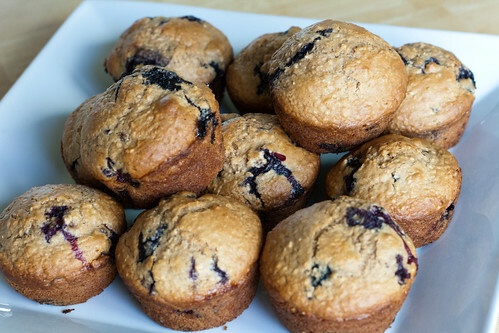 Oat muffins with blueberry are my favourite. Yours look very good, I may try this recipe!